Did you check out the tools tab on riyaz yet? We’ve got 3 very useful tools for you singers out there! Give them at try! You will have fun for sure! Try each of them out if you haven’t yet! Here is a small overview of each of the tools! Smart Tanpura :- Our smart tanpura can be used for your day to day practice routine. The tanpura can be customized according to the different notes and different ragas as well. It is the perfect tool for practice! 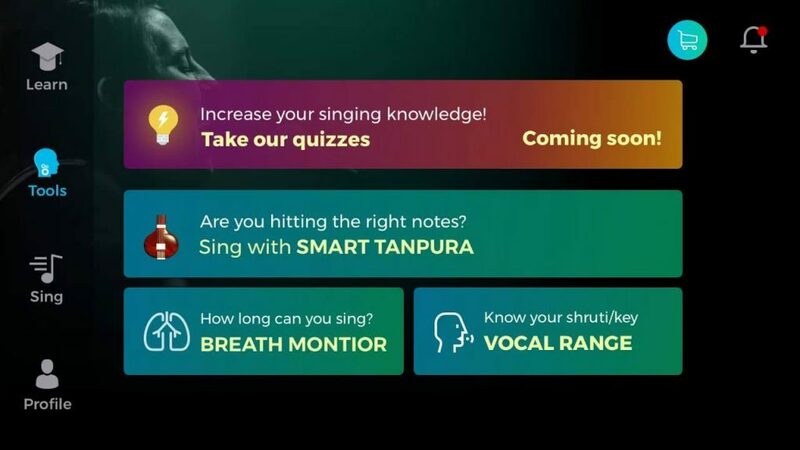 Vocal Range :- If you still do not know what is your shruti or key then check it out here! Knowing this will allow you to sing notes within your comfortable range. It is quite fun as well! Breath Monitor :- If you want to improve your breath control and be able to hold notes for a longer time then using the breath monitor for 2 minutes everyday is a good idea! I am doing riyaz practice on daily basis but seen improvement in my voice pitch quality. Kindly let me know how I make my voice stronger and easily sing on high pitch.